How Will One Pick The Perfect Bed Head To Accentuate The Beauty Of The Bedroom? Your house is the only place that offers you paramount solace. After a rough day, people cannot wait till they get to their homes, and rest. If you desire to take on the challenges of the next day, then you must get adequate sleep. The room where the master of the house sleeps is called the master bedroom. No bedroom will be complete without a luxurious bed. The structure of the bed, and mattress quality influence the quality of your sleep. The bed head or the bed board is a structure that is attached to the top end of any cot. Earlier, these bed heads were mandatory for all cots. As contemporary interior designs gained ground, these boards lost their prominence. One cannot deny that attaching these additional headboards will enhance the beauty of the bed by many folds. Even Feng Shui experts say that people should opt for beds with these boards. This ancient science states that one can harness natural energy, and use it for personal wellbeing. Proper placement of the bed and the presence of the bed heads will channelize this natural flow of energy. It will ensure better health, relaxation, and composure. A quick search in the market will highlight that bed heads come in all materials. But the popularity of wooden bed boards surpasses all others fabrics. Wooden bed heads come with a steep price tag. People of all walks of life will not be able to afford it. This does not mean one should compromise with the quality. Artificial wood-like material and poly fabrics are excellent alternatives at affordable rates. These fabrics can be shaped in whoever way to create stylish bed heads. Apart from this, these artificial fabrics are robust and will last for a long time. Beds come in several sizes and styles. The taste of no two people will be similar. Some have an eye for classic and traditional décor, while others love the contemporary stuff. 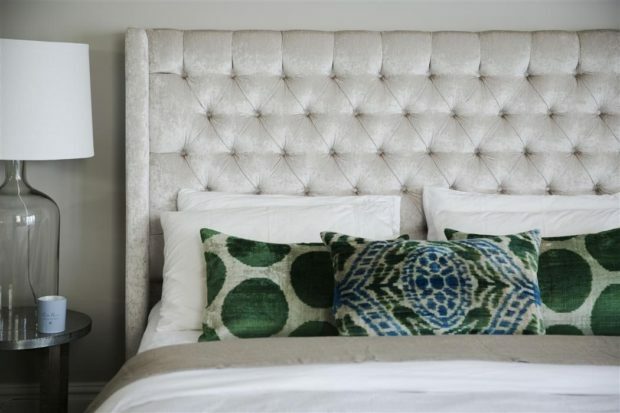 The style of the bed and the headboard must match with the décor of the room. Any mismatch will mar the beauty, and produce an odd look. There is no shortage of traditional as well as contemporary bed heads in the market. If nothing catches your fancies, then you can have one custom-made. If you are a novice in this field, then you must take some pointers from an expert. With a little effort, you will attain a befitting bed head for your cot. Designer items are also available in the market. But these will burn a hole in your pocket. The cost of custom-making a bed head will be less than purchasing a ready-made item. Both online and offline stores have a huge variety of such bed heads. A little research will help the interested candidate to attain a clear conception. If you still have any queries, then ask an expert. They will be more than happy to offer their insight on the subject.